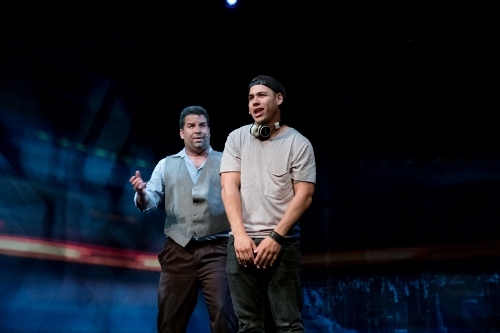 “La Canción,” the “song” of the title is what Rafa, a young Puerto Rican from the South Bronx, woke up singing without knowing why or where it came from. 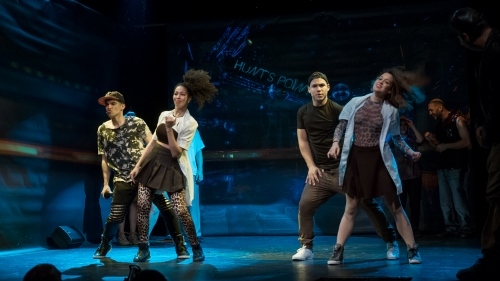 His quest to discover its meaning is the premise of this delightful, heartfelt, down-to-earth musical at the Spanish-language Repertorio Español, now celebrating its 50-year anniversary. 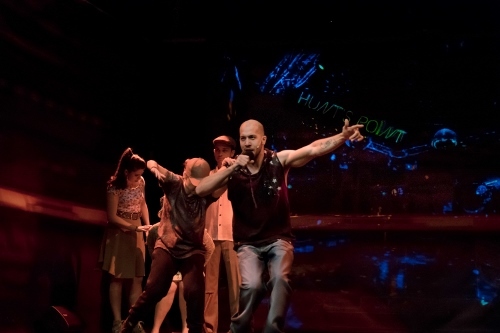 It was written by Cándido Tirado and directed by Edward Torres and features original music and lyrics by two-time Latin Grammy winner Vico C, one of the founders of reggaeton (hip-hop with a Caribbean flavor), with choreography by the award-winning Carlos Neto. It also brings home some powerful messages. The choreography, music and lyrics seamlessly drive the plot forward. Tirado credits Torres for fusing all the elements together. 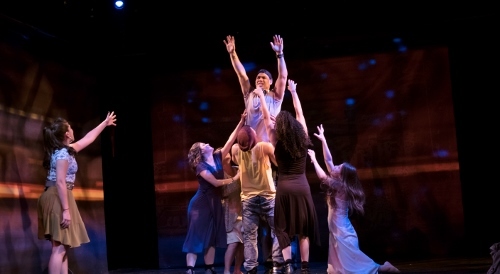 “I learned so much during this production about musical theater thanks to him,” he said. Torres also brought in Neto to do the choreography. 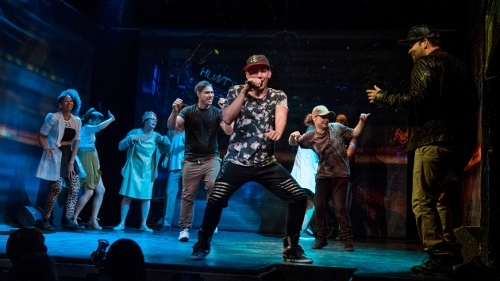 “I think Carlos’ choreography hits the tone of the music and the play right on the nose. His choreography seems so natural. I can’t see it any other way,” said Tirado. But he acknowledged that Neto had a tough task at hand since some in of the cast were highly developed dancers, but others weren’t. “I think he was able to manage that situation really well,” he added. The Portuguese-born Neto, 32, also admitted, via email, that working on “La Canción” was challenging. “Even though most [of the] actors have had some sort of dance experience, they were not specifically trained in street styles,” he said. Neto describes his style as a mix of Street Dance Style foundations, including Hip-Hop, House Dance and Locking with an LA choreography-style influence. “A musically diverse choreography executed through the dynamics of movement and body control,” said the multi-faceted choreographer. “I developed it over the years through my dancing career. My background in martial arts also helps with execution, while my acting background helps me find truth in my dancing and in the artists I work with or choreograph for.” Neto also holds a Master’s in international journalism and is a popular Street Jazz dance teacher at Broadway Dance Center and Peridance. 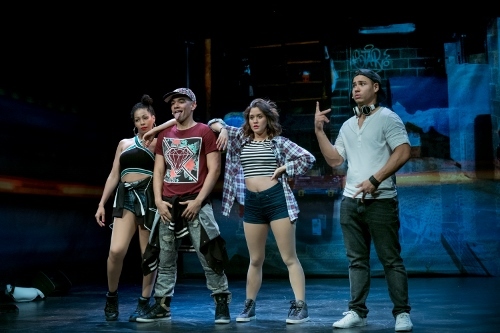 Neto said that for “La Canción” there were a couple of scenes where he decided to use Hip-Hop-inspired choreography and for others he wanted salsa and rumba, assisted by Natalie Cruz. “My other two assistants, Maria Cherniske and Elodie Dufroux (Elodie was a dancer in the show for a while), helped coordinate all actors and dancers to eventually create a story line through movement that makes sense,” he said. “Usually I build each number slowly and gradually keep adding up details and ideas until it feels real and complete,” he added. The talented cast comes from many parts of the Spanish-speaking world, as well as from the U.S. While the production is in Spanish, with an occasional nod to how the younger generation sprinkles in English when they talk together, the excellent supra titles bridge the language gap. 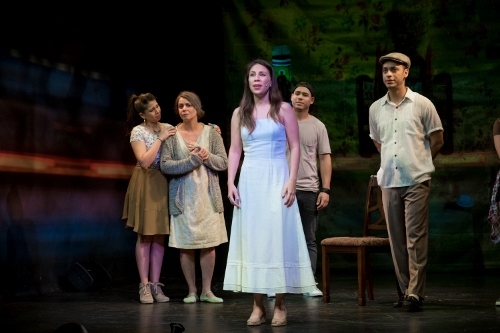 The mysterious song is called “Nunca pensé que era así, “I never thought it would be this wonderful.” The show is also wonderful, a feel-good experience for young and old alike in any language. “La Canción” is in rotation with other Repertorio Español productions. For schedule information and tickets, go to repertorio.nyc.